CD Artist Edition Doubleday years. Re: CD Artist Edition Doubleday years. Woah that's selling really fast! Great stuff. 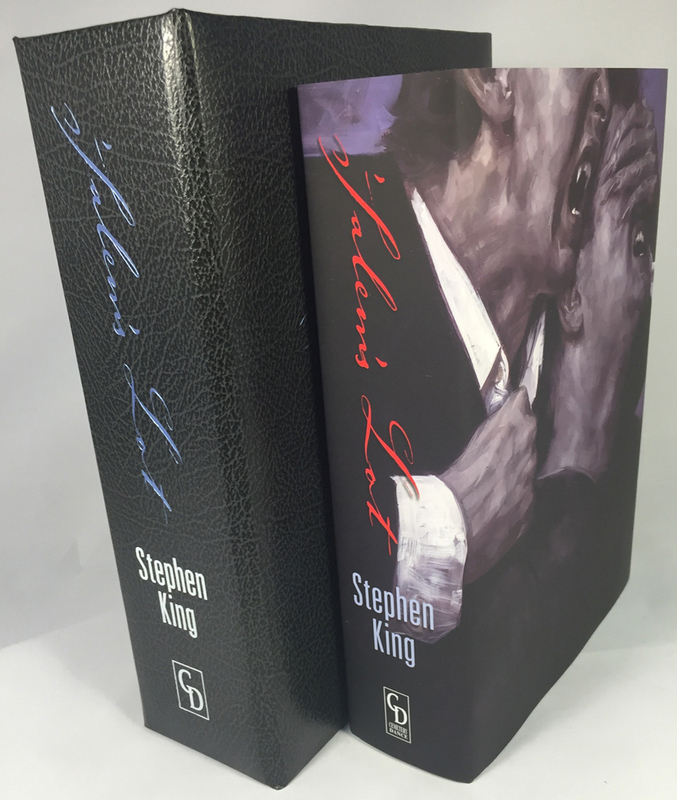 We're confirming our counts now, but it appears the Numbered Artist Edition of 'Salem's Lot has sold out. Yes, these are the tray-case versions - and without SK's sig, the price is much lower for each. Therefore, to determine investment value and future appreciation - we now have to consider other factors about the release since there is no SK sig to boost it's value and demand. First off, I noticed these tray-cased versions are selling out, too - meaning their value will certainly increase as copies get rarer and only available on the secondary market. 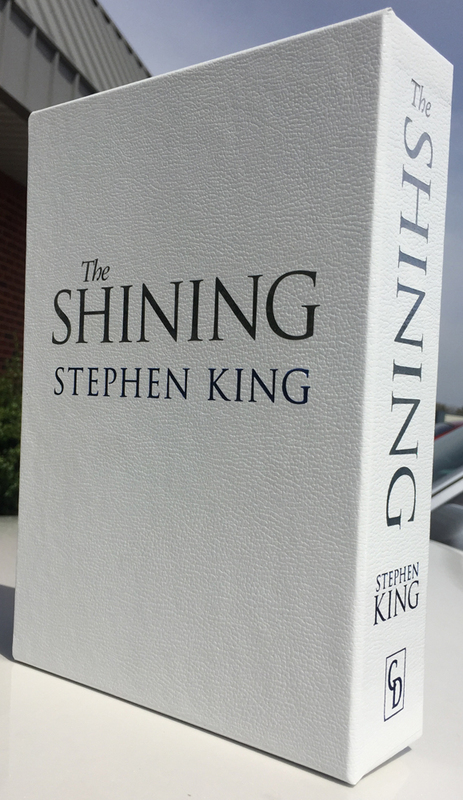 Yes, they will not increase to match the percentage levels of signed releases (like a tray-cased IT or Dr Sleep), but they WILL increase in value over time as younger collectors want and can afford something better than an unsigned edition, yet aren't able to invest in the SK signed versions CD normally released. Now, in my opinion - if you are looking to find some future investment value in these releases - I believe you would need to get THE COMPLETE SET with MATCHING NUMBERS to have something unique and rare that would attract enough attention to get a premium for these. Also consider - releases like Shining and Stand which were hugely popular will definitely add to the value of the set and generate more sales. And don't forget - the sleeper NIGHT SHIFT - this book was the rarest of the Doubleday series and has never gotten a lavish deluxe release. Just got my Carrie today with a cracking Chadbourne remarque. It's beautiful. It's my first traycased book. Very nice. I've pre ordered the whole set, so the numbers will be the same. I'm glad I did it now. I was a bit stressed after forking out a heap of cash, and wondered if that would have been better spent on 2 decent signed books. Since I paid, some time ago, the exchange rate has gone through the floor, and postage has gone up. So I'm feeling much better about it now, as at the current exchange, I really couldn't have done it. Another production update is on the way today via email to those who preordered 'SALEM'S LOT directly from us. That looks great, thanks for sharing Brian! Here is THE SHINING update for those who ordered elsewhere, etc. 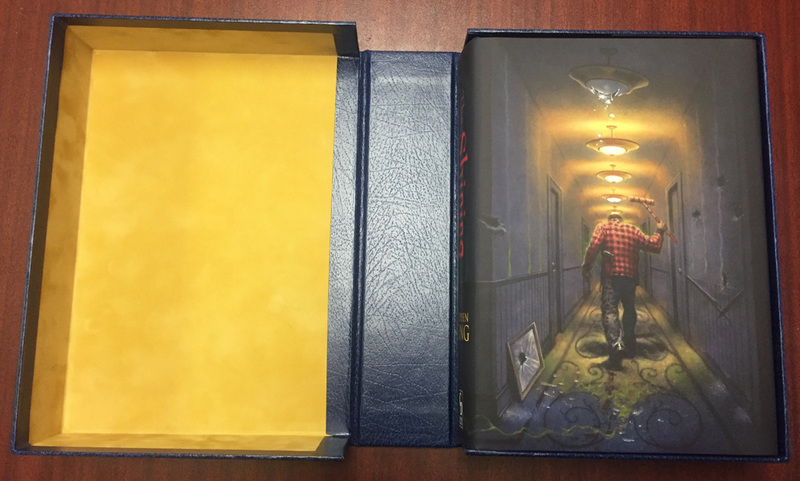 We are still right on track to have finished slipcases and traycases by the end of May, and we thought you might like to see a photo of the “approval slipcase” they sent us for confirmation of the materials, etc. And here is a photo of the “approval traycase," along with our very first finished copy of the Artist Limited Edition book is in the case, so you can see the cover artwork and how all of the colors play off each other.